Staircases are often a point of attraction in your home, be it on the exterior or in the interior. If you are thinking of welcoming your guests with an out of the box idea or having uniquely creative stairs in your home then you may think of indulging in some staircase painting. Painting the stairs uniquely and creatively also adds a completely different ambiance to your home. To make your work easier, we are presenting you with some awesome, inspirational ideas for painting staircase. This is one of the most creative staircase ideas that you can use for your stairs. 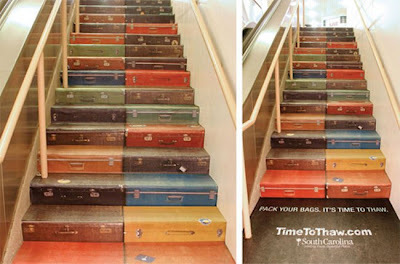 This suitcase stairs is especially for you if you love traveling. What’s more, you can paint suitcases of colors that everyone loves. Your boring stairs when painted with a runner looks quite stunning, just as shown in the picture below. The color green exudes a bold ambiance to your home. It also adds a natural hue to your stairs. 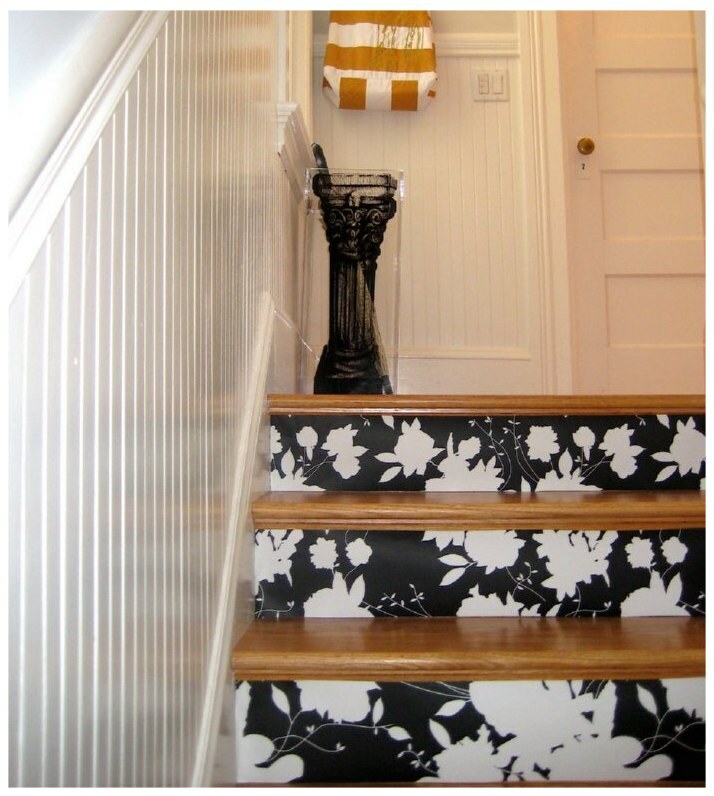 If you are a person who loves flowers, then this flowery wallpaper is the perfect staircase idea for your home. Now give your once boring stairs a flowery look and don’t get bored while climbing them anymore. When you have a boring staircase to climb up every day, why not add a bit of color to it. 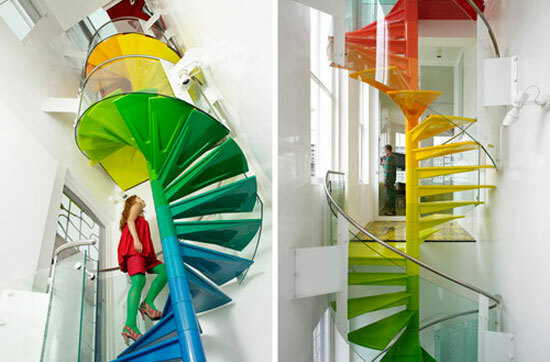 This multicolored staircase will add color to your boring looking staircase. The bright colors not only gives a colorful ambiance to your stairs, but they also brighten up the surrounding area of your home, with the stairs being the focal point. 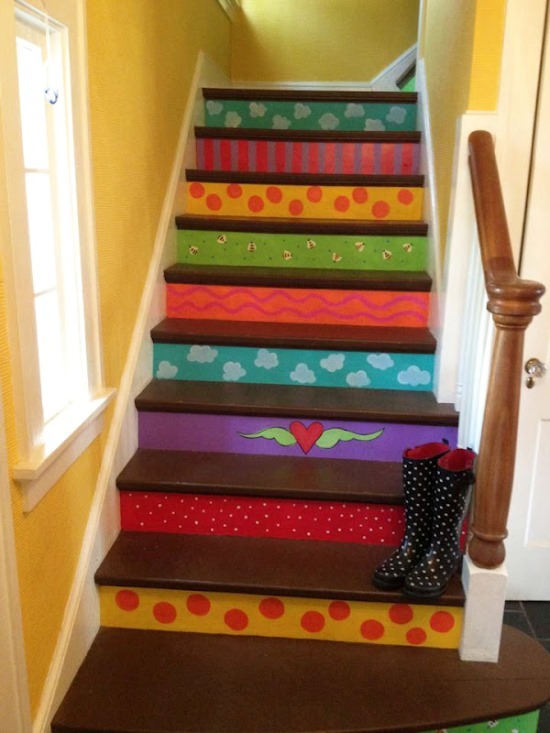 You may also paint a few designs on the stairs as shown in the picture below. 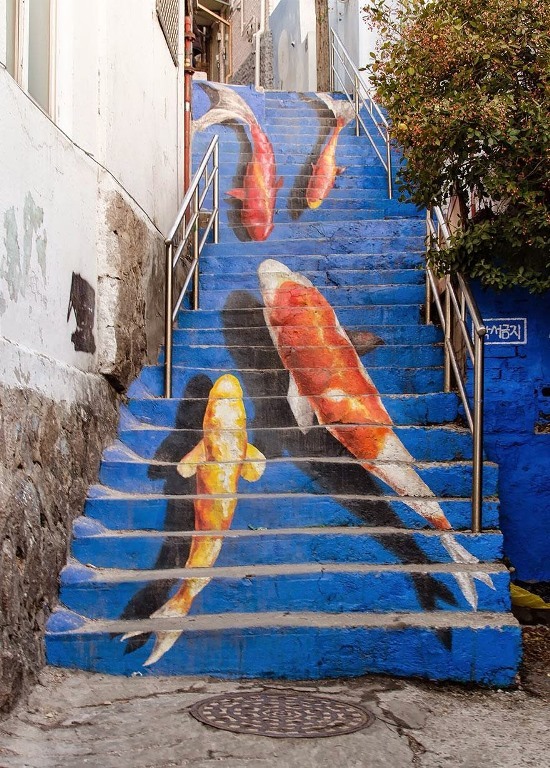 If you are in love with the water and marine animals, painting stairs like an aquarium as shown in the picture below may be just the idea for you. 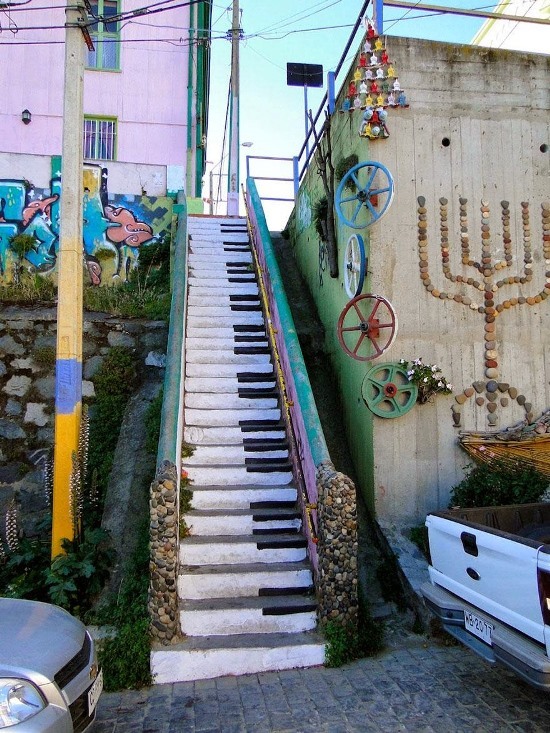 Staircase painting done in the form of a piano may be the best idea for music lovers. So paint the stairs black and white, and dance to your favorite tune, except that you will have to play the tune in your mind. Painting stairs in the form of a color pallet adds quite a colorful ambiance to your home. 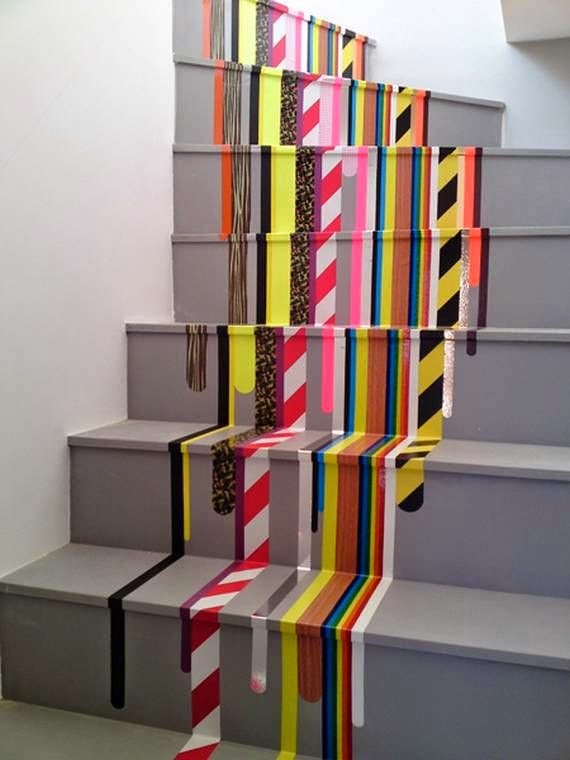 Not only you, but even your kids will love climbing such colorful and attractive stairs. Passing on meaningful messages is always a good idea. 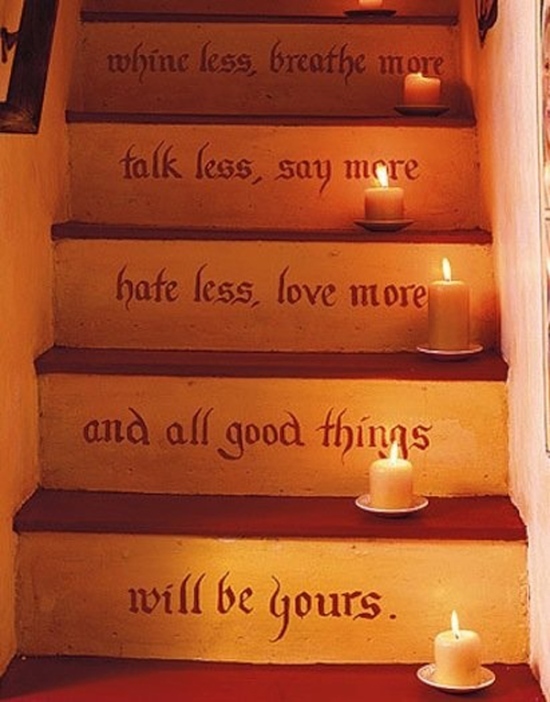 Why not do that by painting the stairs with quotes as shown in the picture below? This staircase idea may even prove educational for your children. This is probably one of the most unique staircase ideas you can use for turning your stairs into a creative and unique focal point in your home. 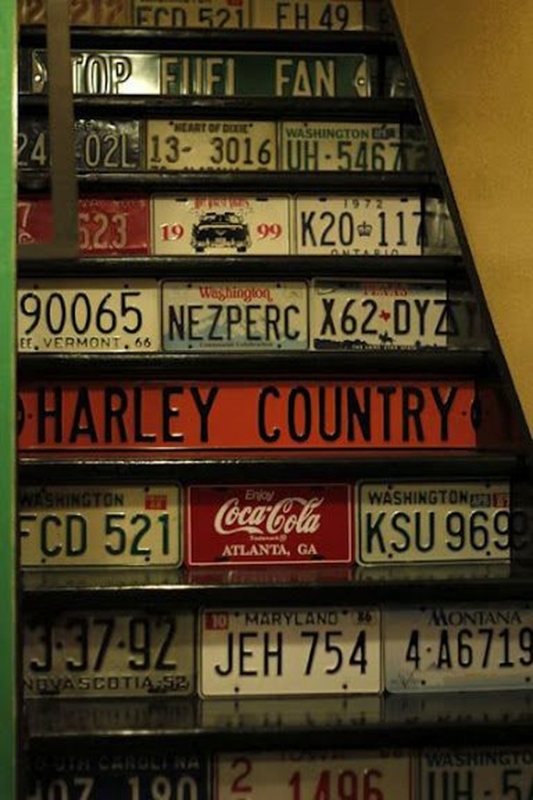 You can also use your stairs as a platform for collection of number plates from various cities. If you love reading books, then you will simply fall in love with this staircase painting too. It gives quite a creative and literary touch to your stairs. 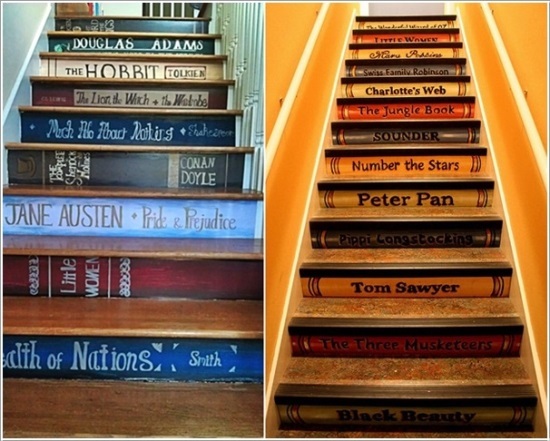 You can paint the titles of your favorite books onto your stairs and show them off to everyone who climbs the stairs. 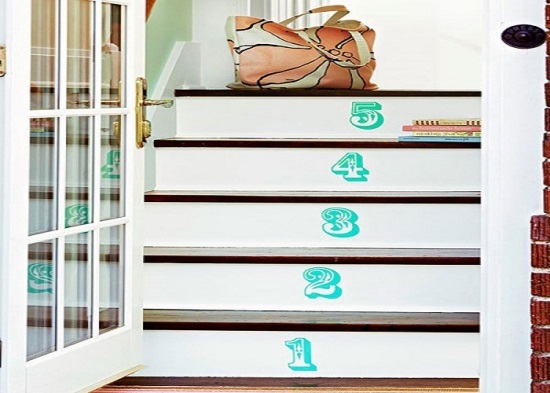 Painting stairs with stencils gives a unique, elegant and a traditional look to your stairs. You can make the stairs look more attractive by using appropriate colors as shown in the picture below. The colors can also be chosen to match the surrounding walls. Want to climb the rocky terrain? 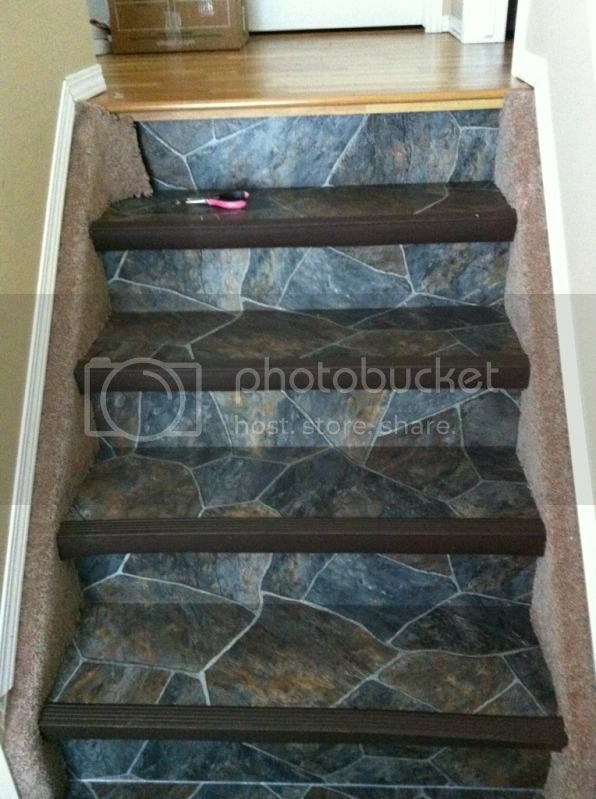 Applying this rocky wallpaper on to your stairs will let you do just that. Ties are often seen as a boring part of the office ensemble. 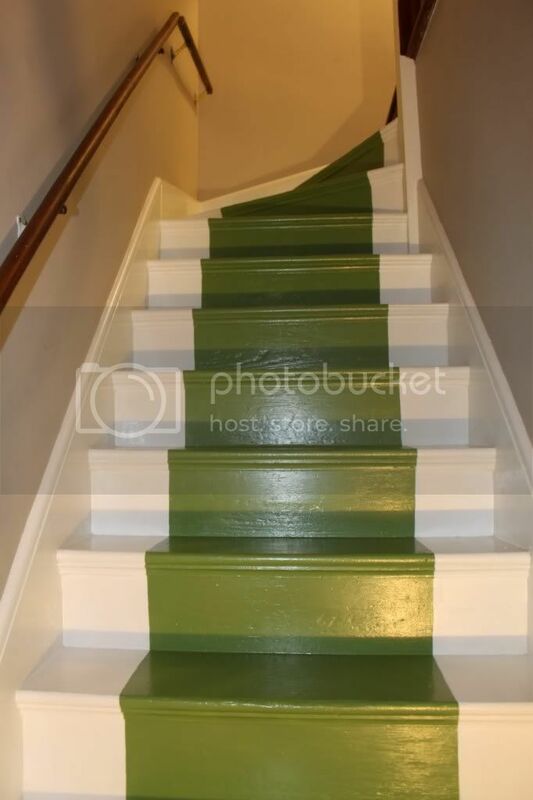 But paint the stairs like them and it will change the entire look of your staircase, just as shown in the picture below. One can find numerous ways of sending out positive messages. 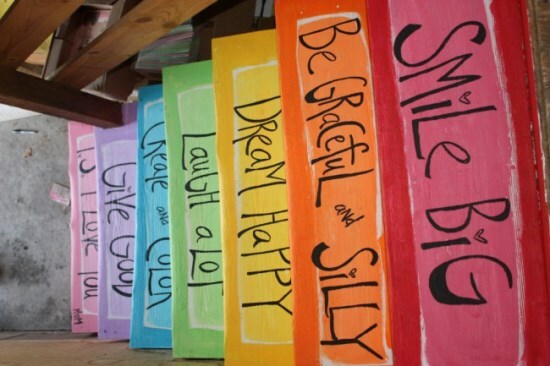 One such way is painting stairs with positive messages as shown in the picture below. So paint those positive messages and spread optimism around. Ever wanted to count the number of stairs you climbed? Well, do so now. Painting the stairs with numbers not only will let you count the number of steps you have climbed but is also a great trick for teaching numbers to your toddlers. Staircase painting is probably one of the most creative ideas that will allow you to indulge your artistic side in making your boring stairs look more attractive. If you are looking forward to do just that, then you might use one of the ideas we have shared with you here. Paint the stairs and change the stairs!